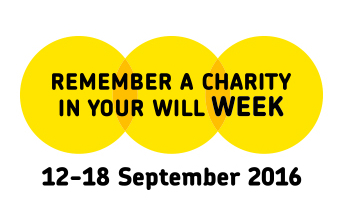 We’re excited to be taking part in our first ever Will Week 12-18 September. Co-ordinated by Remember a Charity, we're part of a group of over 140 charities from across the UK spreading the word about the importance of leaving a gift to charity in your Will. The message this year is simple – what will you pass on? What words of wisdom would you pass on to the next generation? We asked supporters, volunteers and bowel cancer patients and were touched by the thoughts you shared with us. “Hope gives you the strength to achieve amazing things”, “Do everything in moderation” and “Listen to your body” are just a few of the words of advice we received. Of course it’s not just words of wisdom that Remember a Charity is encouraging people to pass on. Making a Will is extremely important so that others know what you want to happen when you are no longer here. It’s becoming more and more common for people, when making their Will, to include a gift to charities that they have supported in their lifetime. In fact, over £2billion was left to charities in this way in 2015 and so much good can be done with such significant gifts.